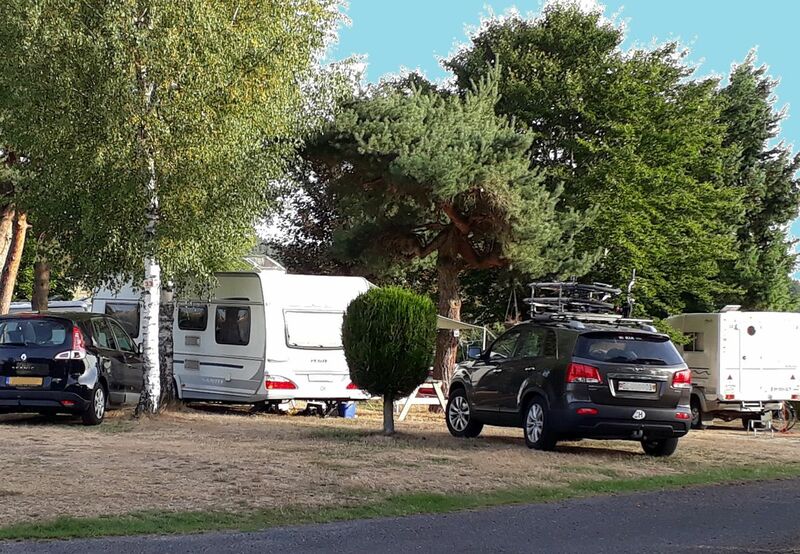 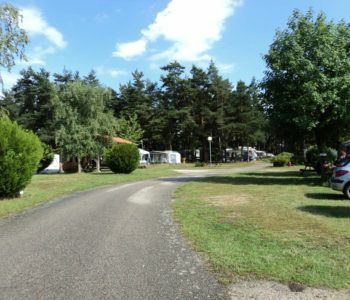 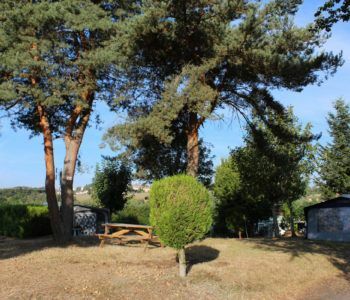 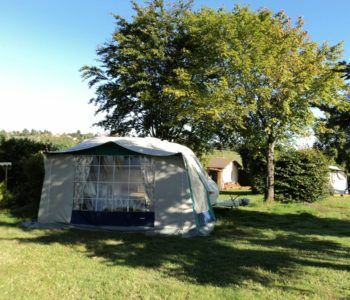 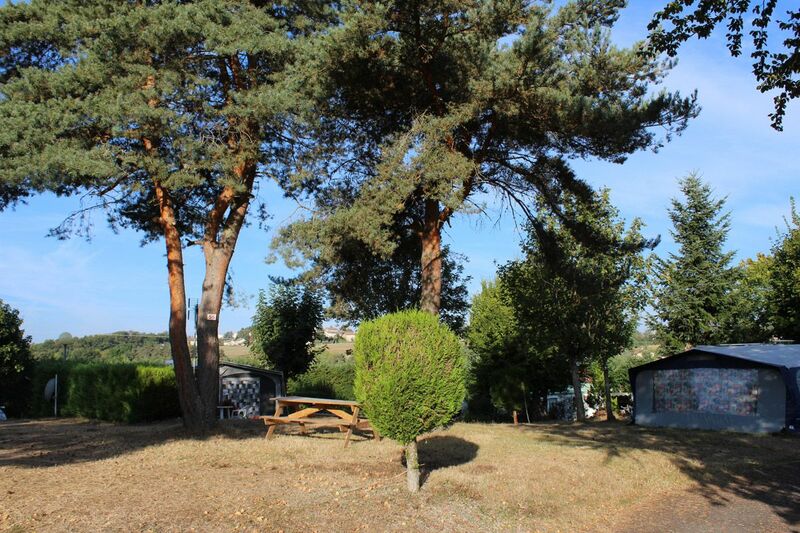 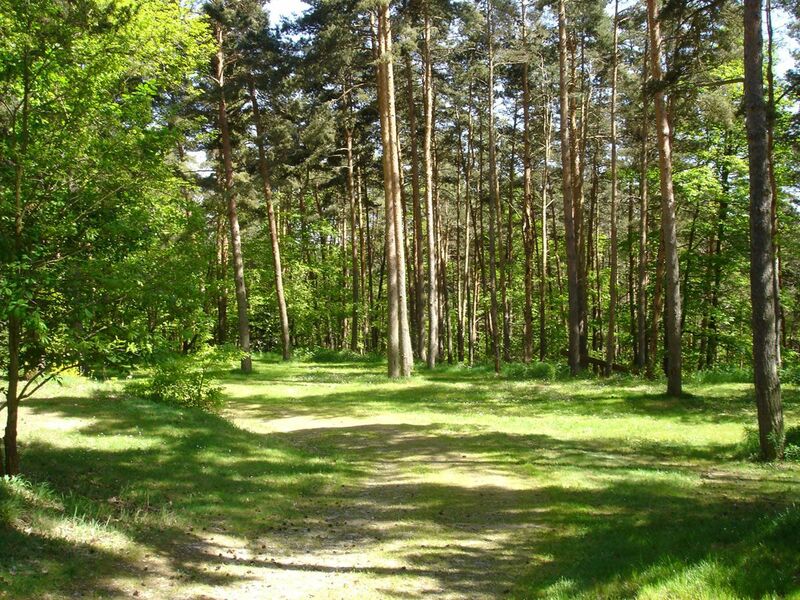 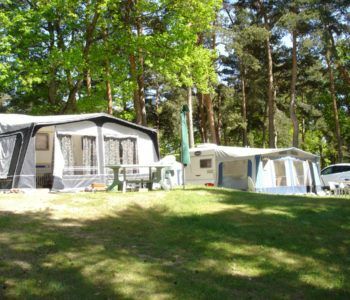 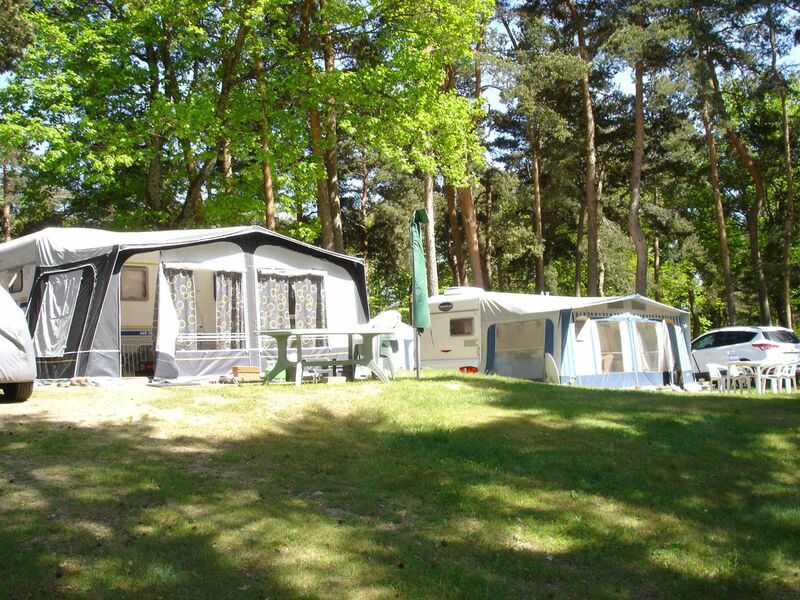 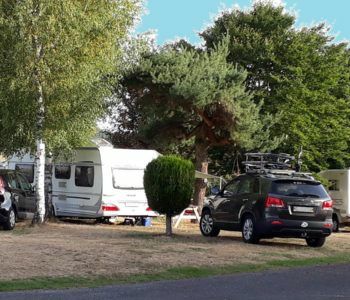 The Camping DU SABOT provides about 60 pitches ith electric hook-ups, among which 30 standings, on 7 acres for caravans, tents and motor homes. view from the shaded grass space. 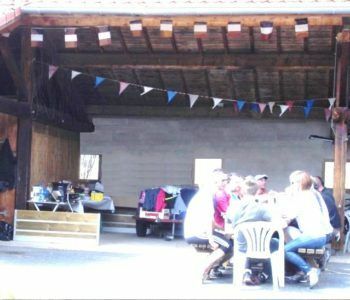 Some pitches are equipped with wooden tables. 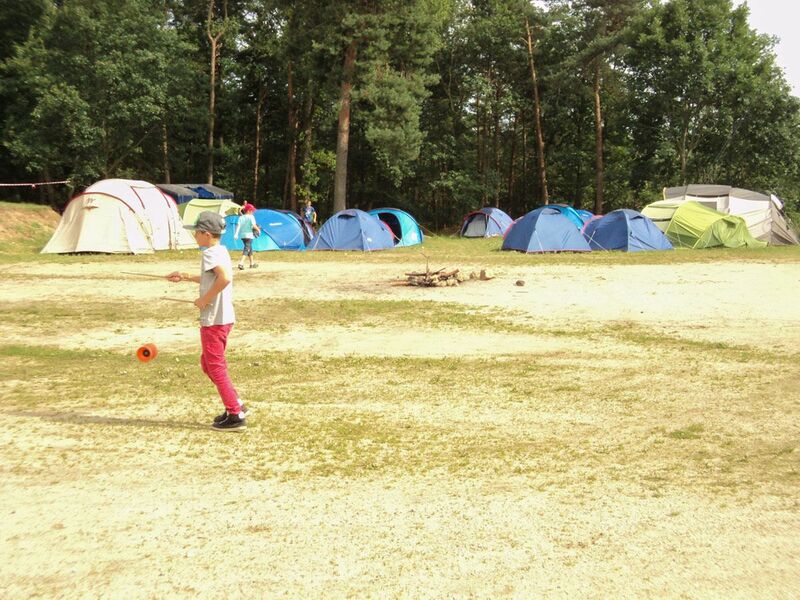 A shelter is at your disposal. 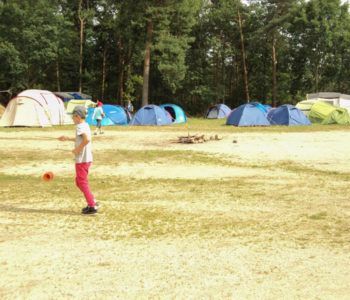 Free WiFi access on many pitches. 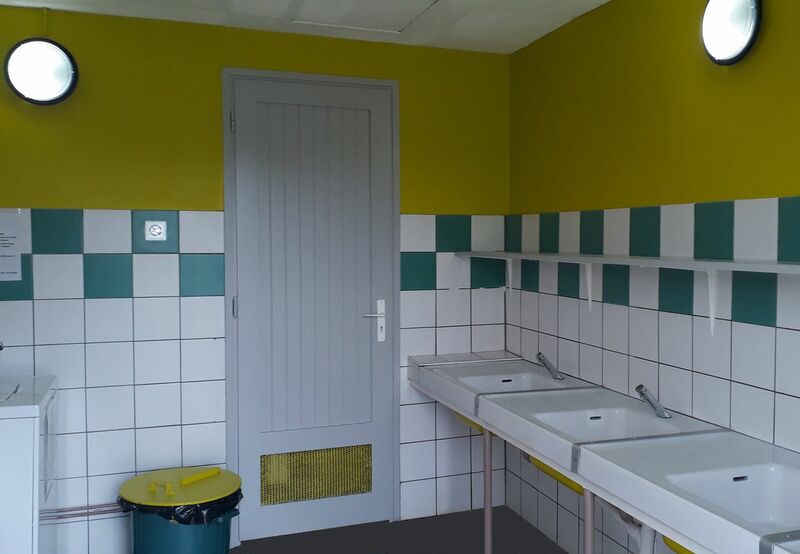 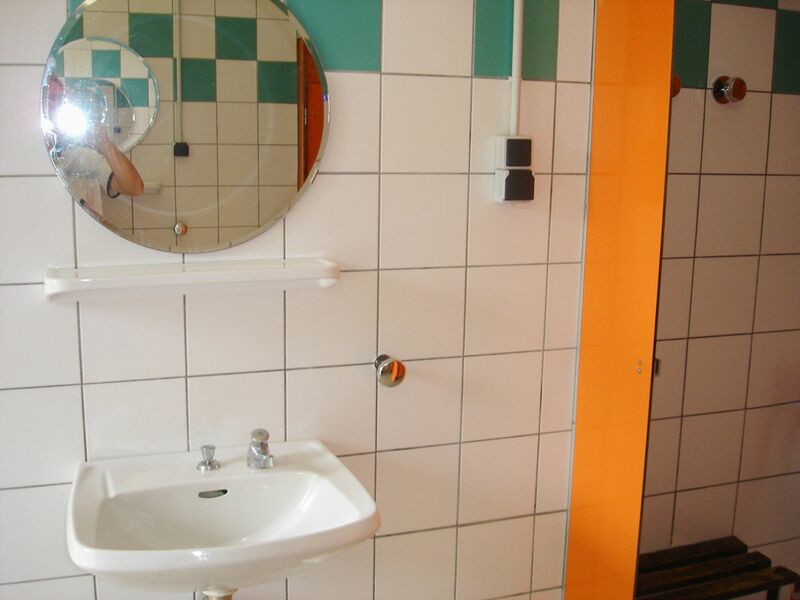 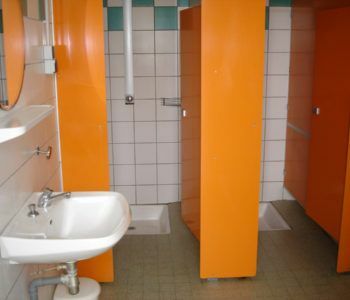 We have a local reserved for disabled persons, equipped with hot showers, sink and adapted toilets. 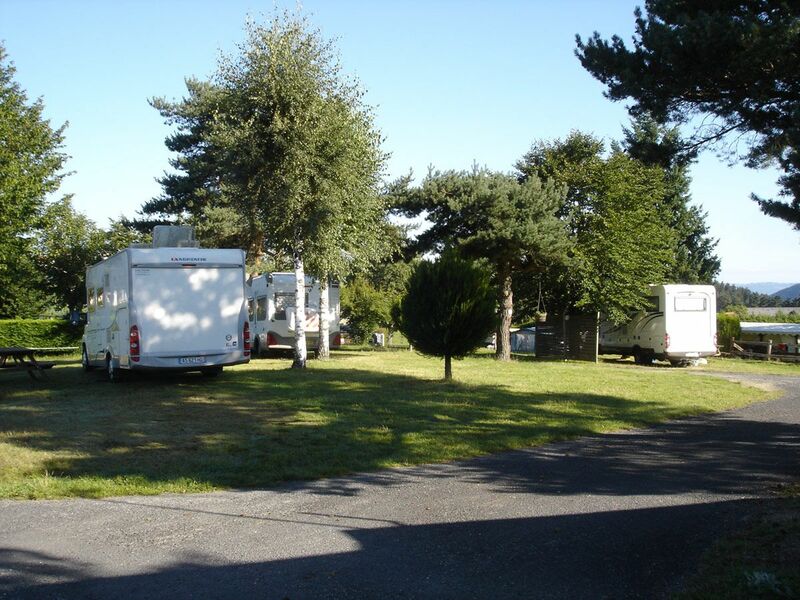 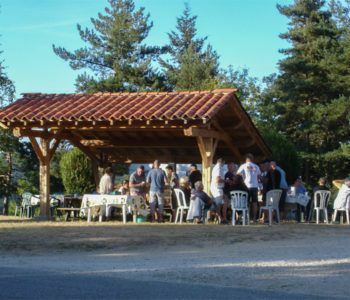 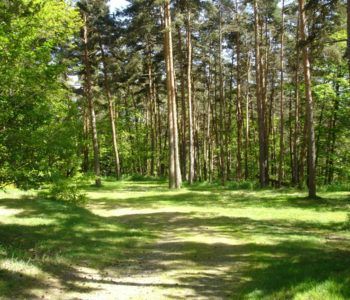 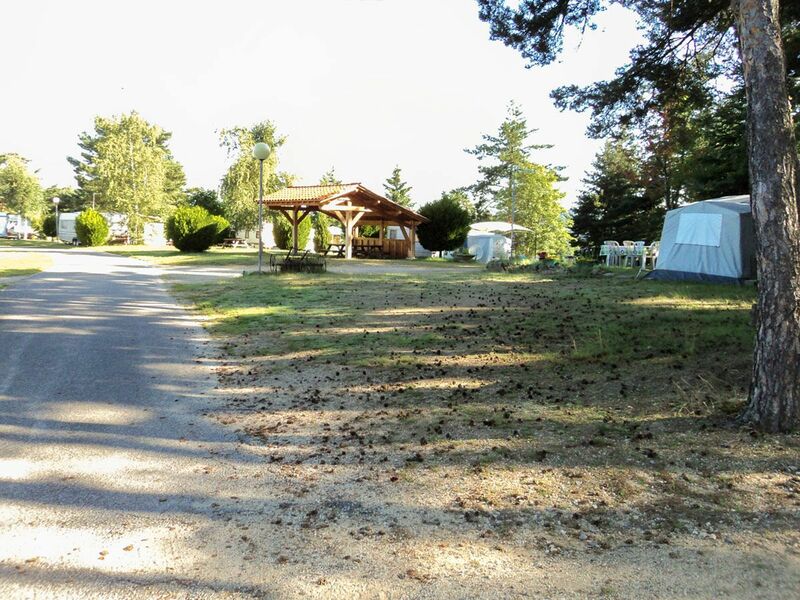 The Camping du Sabot offers you a service area for emptying liquid waste and water filling. 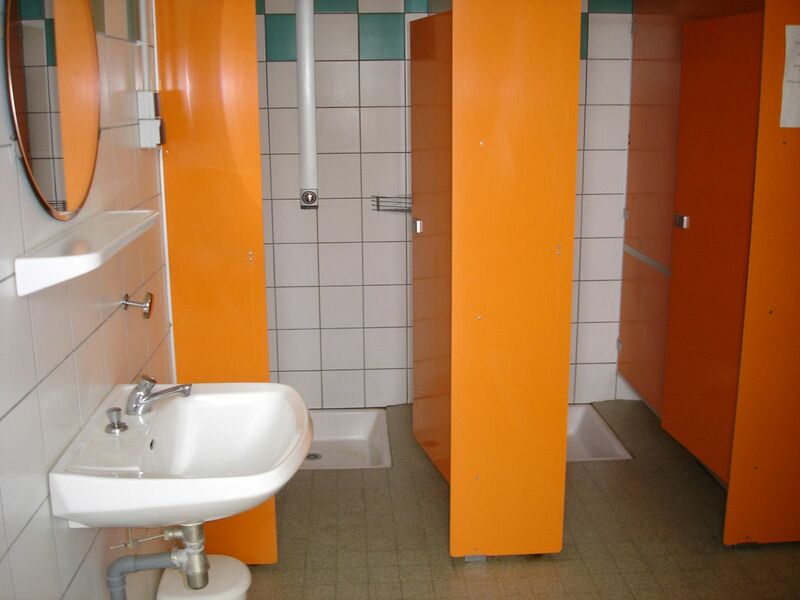 Free access four our clients. 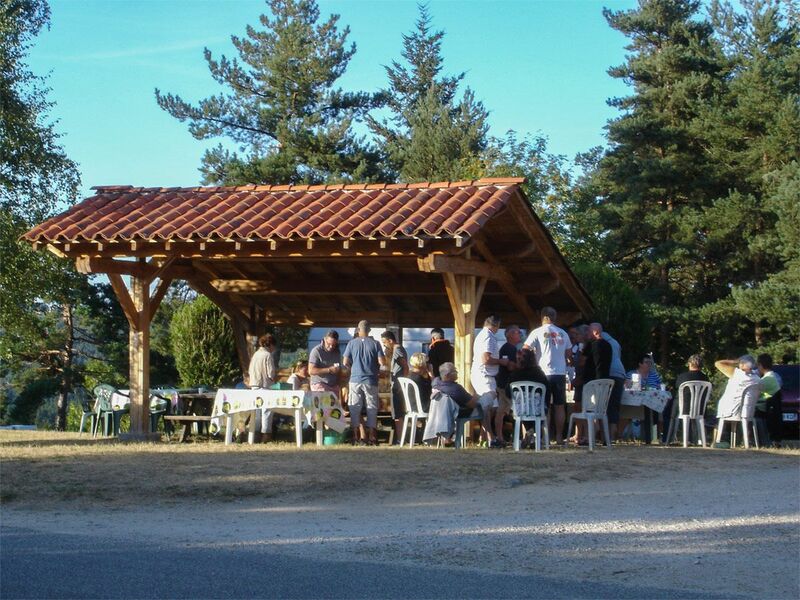 We put at your disposal a vast covered space facing south and a smaller shelter, both equipped with picnic tables. 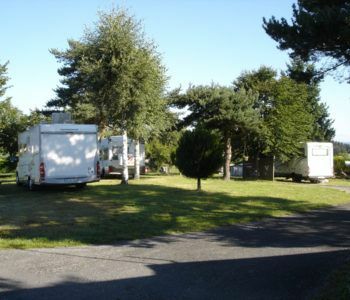 An ample grassy area situated aside from other pitches permits to welcome groups in excellent conditions. 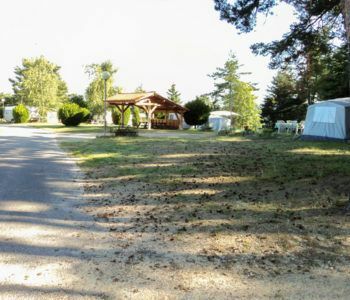 FFCC: Price reduction = 10%. 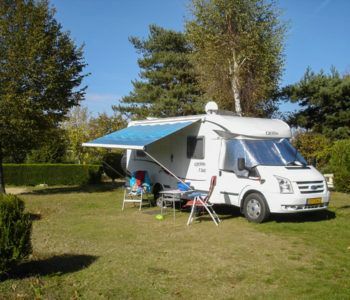 ANWB: Price reduction = 11%. 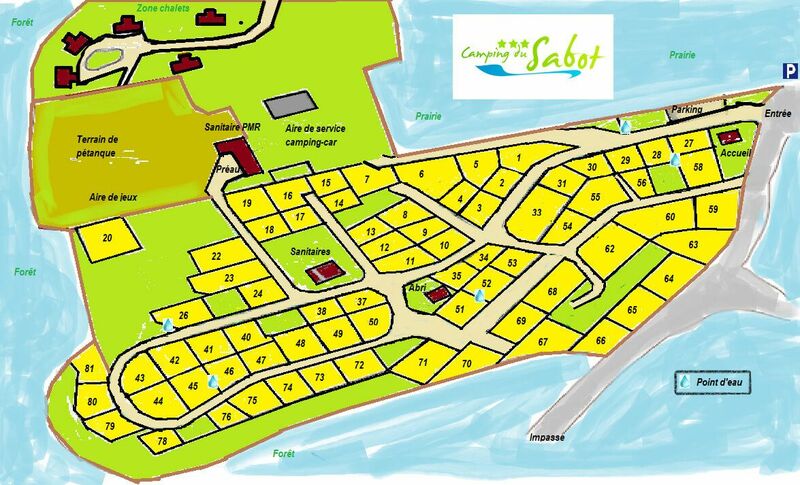 From 16/04 to 06/07 and from 24/08 to 15/10. 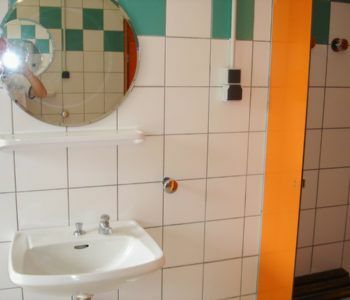 Fixed charge 14 € per night. 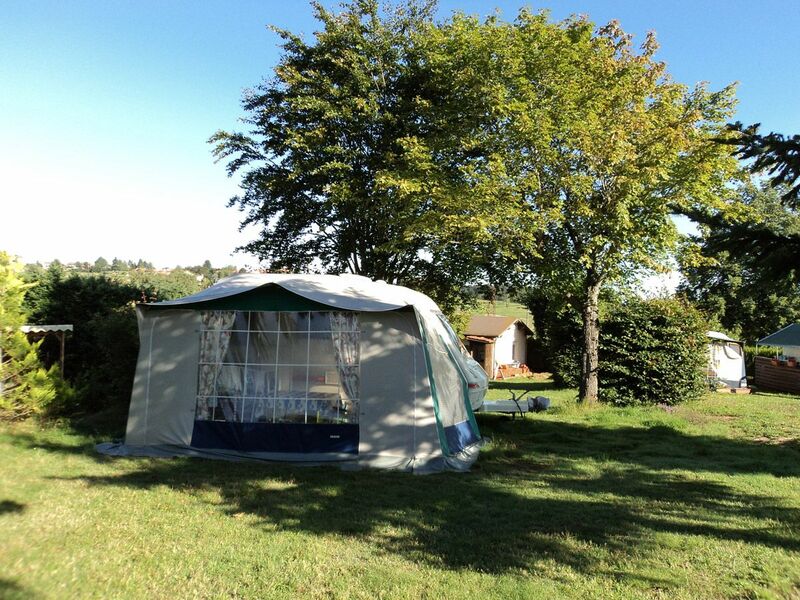 This price includes 2 adults and 3 children under 6. 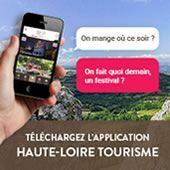 (tourist tax not included). 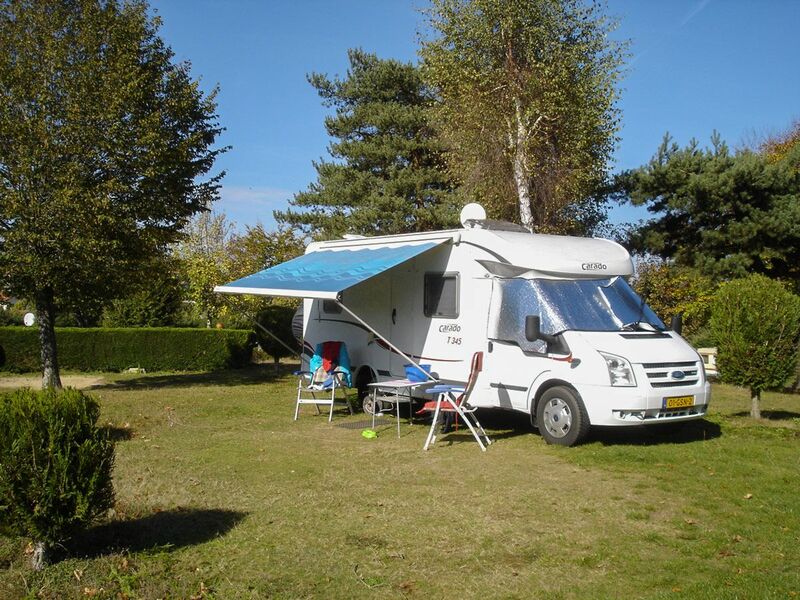 6 persons maximum per pitch. 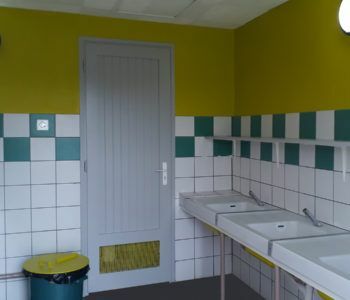 Hot showers included in price. 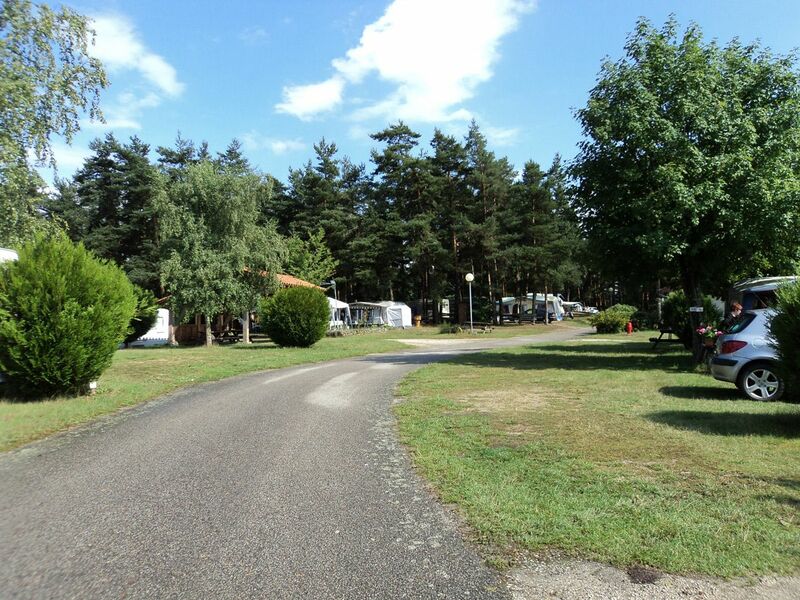 Arrival from noon, departure before noon.